Looking for a speaker for your next ladies’ event? 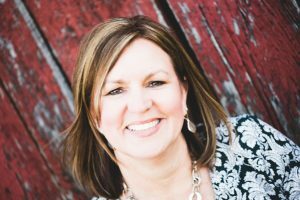 Tammy Nischan’s message of hope and joy is spreading across the Eastern United States as she shares her own story of God’s faithfulness through times of personal tragedy. As both a She Speaks and CLASS (Christians Leaders and Speakers) graduate, she speaks from a wealth of life experience as well as with significant professional training. Tammy’s messages inspire women to live their lives with greater passion and purpose even in the face of difficulty. She has already helped hundreds of women find peace in the midst of pain, joy in the midst of sorrow, and hope in the midst of despair. Tammy believes in the power of a living, active, and personal God. She believes He came in the form of man by sending His Son Jesus Christ to walk on the earth, facing every struggle we face today, and that through the power of the crucifixion and resurrection we have been offered freedom from our sin and the promise of eternal life with Him. These beliefs have carried Tammy through the loss of two children and have allowed her to live victoriously in spite of her broken heart. Because of Tammy’s deep trust in a faithful God, she has embraced her grief, discovered hope, and now experiences a joy that is only explainable in light of His love. She is passionate about empowering other women to find purpose in their pain so that they too can live victoriously.